Don't let dirt and dust impair your optics. Weaver's Clear Lens Scope Cap protects protect your optics during the hunt. Clear lens covers let you accurately see your target and flip-up and out-of-the-way. Don&apos;t let dirt and dust impair your optics. 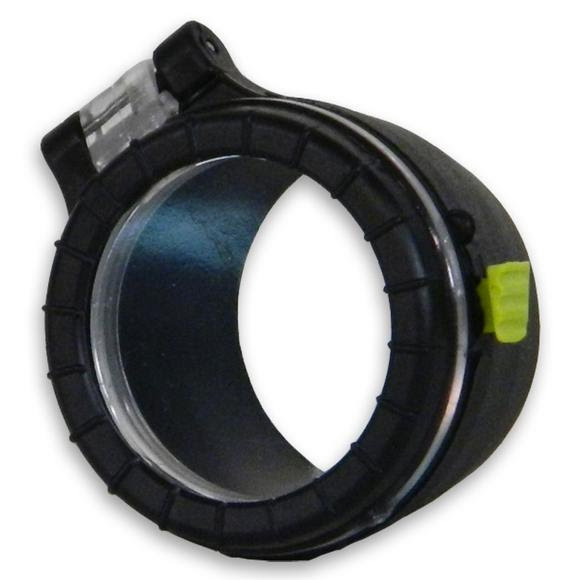 Weaver&apos;s Clear Lens Scope Cap protects protect your optics during the hunt. Clear lens covers let you accurately see your target and flip-up and out-of-the-way. Weather-proof protection from dust storms, rain, sleet or snow. Weaver scope caps will keep your optical equipment clear and dry...ready for that once in a lifetime shot.